Teaching new skills to the staff at a healthcare organization can be challenging, particularly if you approach teaching in the old-fashioned way. Teaching new procedures or techniques to a large group of employees at a hospital or doctor’s office can be time consuming and stressful. Getting everyone together to teach them new information in person can take weeks or months to complete. Working in the healthcare industry can mean long shifts, unusual hours and long periods with little to no time available to devote to professional development. Trying to gather the entire team into one room for training takes coordination and planning. Not to mention, long training sessions can cause your team members to zone out. While certain people can focus on new material for extended periods of time, there are many others who need to take things at their own pace, take breaks or stop at certain points to digest what they have learned. An LMS makes it easy for everyone to participate in training on their schedule. Your organization creates training courses and uploads them to the LMS, where employees can access them whenever they have free time at work or at home. You can also create learning paths that group training content together to educate employees on a certain topic. Employee onboarding is one example. It’s essential for healthcare organizations to ensure that all staff members are up to date with compliance training and other educational initiatives. With a healthcare LMS, administrators can see which employees have finished training and what courses are still in progress. You can also add assessments throughout courses to determine how well employees are retaining material. Assessment, tracking, and reporting tools help you determine who is not progressing fast enough or might need extra help. It can also help you determine schedules and when to set aside additional time for employees to complete critical training. Related Reading: The Top 5 Things to Look for in a Healthcare LMS Solution. It’s easy to violate HIPAA unintentionally during training processes. Training with hard copy content is particularly susceptible. Paper packets and handouts can end up in non-secure locations once instruction is over. Even if you teach from a white board or PowerPoint, class members can easily take down sensitive information in their notes, putting your organization at risk. With a LMS that requires secure login, all information is kept private and every login is tracked so employees can be held accountable. The best healthcare LMS systems include features or add-ons that ensure their software is HIPPA compliant. 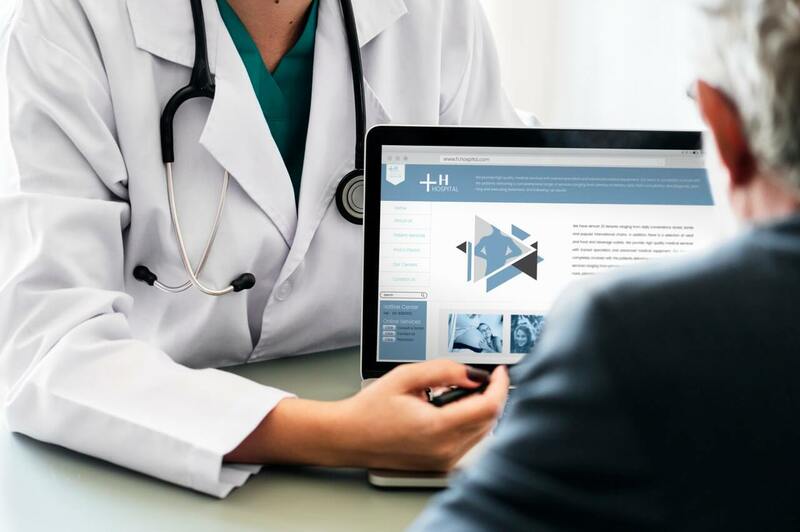 An LMS can help healthcare organizations update their training methods and ensure their staff is well-equipped to deliver the best possible care to patients, residents, and individuals. Look for an LMS that meets your compliance needs as well as the needs of your staff and your schedule so everyone can participate in ongoing training to develop their skills.